Good morning everyone, happy last weekend before Christmas. Are you all set for the big day? We are going to be brave souls and venture out for one more shopping forray today …. hopefully I retain my sanity throughout. I’m sorry yesterday’s post didn’t go up as planned. I was at the school with Liam for his Christmas party. It was a lot of fun, the kids spent the morning doing crafts, having some fabulous snacks and then the kids performed some Christmas carols. We missed the carols, as Liam was nibbling on the goodies for snack time he told me he was feeling kind of tired, and asked to go home. Poor guy! He made the right call though, because we got home and he spent most of the afternoon laying down. At least he was able to see his friends and his teacher and wish them a Merry Christmas, and he was able to take part in some of the holiday fun. This cold is not a nice one, I’m hoping it goes away soon. So, between craft morning and still sick Liam (and a still kind of sick me) I just didn’t make it onto the computer yesterday, and I’m very sorry about that. Busy days tend to make my head spin. I find that on those days I need to pay extra attention to how I’m using my time. Most often, those days find me reaching for a blank sheet of paper, where I proceed to fill it with lists, sectioned off by category, and a plan for the day. Last week, as I was doing my usual scribble, it dawned on me that maybe having a daily planner page in my personal planner would be a good thing. I know I won’t use the daily one every day, but having it for those days I do need it would be a huge help. And so, my daily planner page was born. This is sort of a window into my brain. I use this one two different ways. On days when I’m feeling particularly scattered; when I know I’m going to have to dig deep to find any kind of productivity, I use the category boxes to list the items that MUST be done that day. Then I schedule them into the day planner on the left side. I use the to do list for any items that I feel need to be done, but don’t quite meet the MUST stage qualifications. On days when I’m not feeling quite so scattered, I use the boxes to keep track of things that I want to do over and above the normal. Perhaps it’s something like “plan a family game night for later in the week” or maybe it’s something I noticed around the house like “clean vent in half bath”. I guess you could say that on these days, I use the boxes as a sort of secondary planner. This one is kind of a two in one. You would use it as it is, two days on one page, or you can use for a half sized planner for in a mini binder. With the half page planner in mind, I took care to possition the two days so that you had two ways of putting it together. You can print doubled sided and using a paper cutter, cut the pages down the middle. (straight down the middle) Or, if printing double sided isn’t an option, you can simply fold the page in half. Hole punch and you’re ready to go. To grab your copy click the pictures! And that pretty much concludes the planner part of the personal planner. I have a few more printables to share next week. Because of all the holidays this coming week, and the switch over to WordPress (I’ll announce the exact date on Monday) I’ll be sharing the rest of the planner printables later in the week next week, and I’ll share the post of how I put it all together first thing in the new year. I am constantly looking for simple and useful planner inserts and I think you are the go to place. Thank you Ali. Thank You, Thank You, Thank You~!!!! For Years I have Not been happy with any of the Planners I bought~! They did not have everything I Needed to stay Organized. Last night someone suggested making a Bullet Journal. I was researching it, and realized…I Love Bright Colors and Pre-Planned Pages~! I am in Love with All your Printables~! 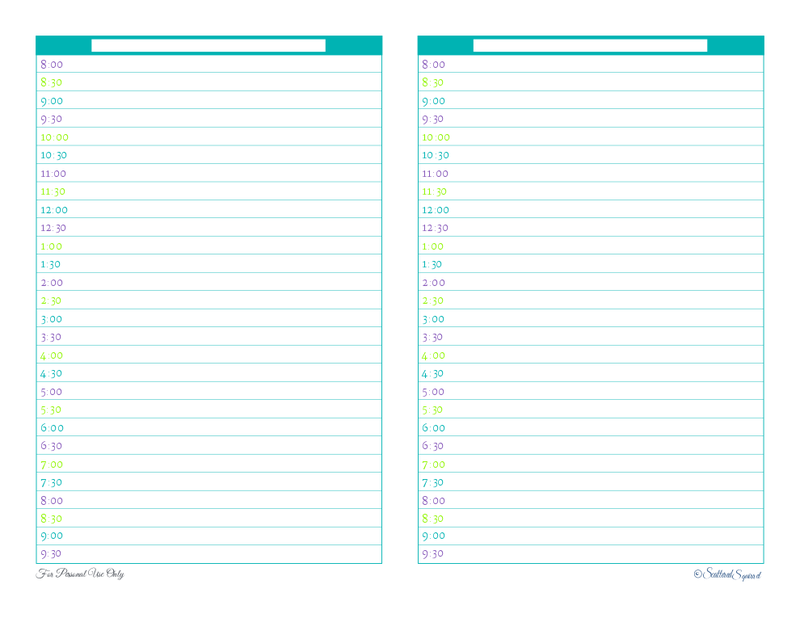 I am Printing Pages, and Looking Forward to getting My Planner Put Together~! I don’t want to miss any New Pages or Infomation~! Hi Tammylou, I’m glad you found us. I’ve heard wonderful things about bullet journaling. It’s a very flexible planner system that can be customized on the go. 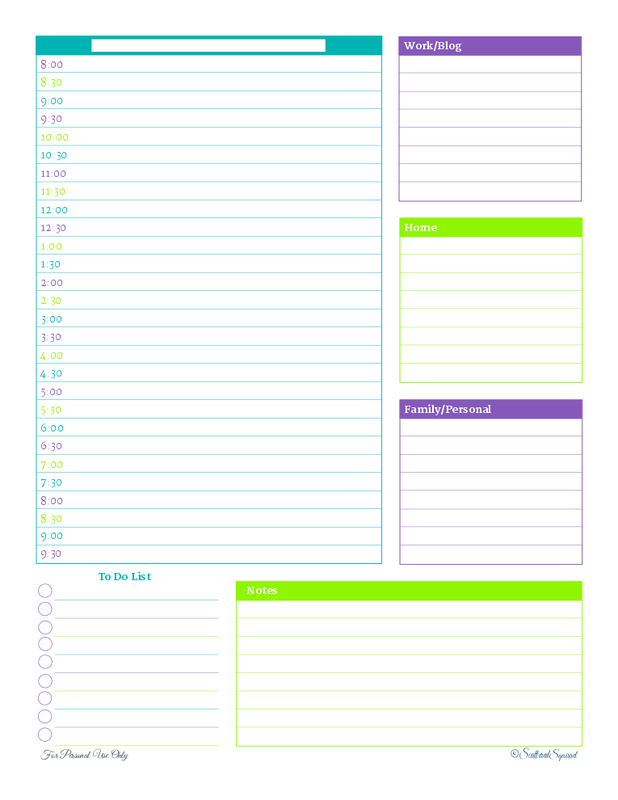 I’m happy you found some printable to help you on your journey to finding planner peace. I hope they work well for you.